Honda has announced it will unveil its first electric vehicle (EV) destined for Europe, the Honda Urban EV Concept, alongside a new CR-V Hybrid Prototype. 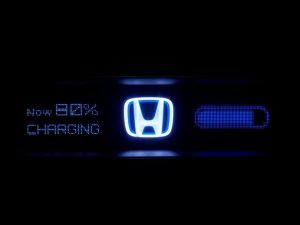 Honda has laid out plans to unveil its Honda Urban EV Concept, that will be the first electric vehicle destined for sale in Europe, at the 2017 Frankfurt Motor Show. Alongside the car will be the new CR-V Hybrid Prototype, which previews the all-new European version of the CR-V SUV, the company said. Honda currently sells its hydrogen fuel cell powered Clarity FCV that the company said would be produced as a battery-only variant. The Urban EV Concept will be the focus of Honda’s stand at Frankfurt, the company said. The new-look Jazz and recently announced Civic diesel will join the electrified vehicles on the stand. Honda Motor CEO, Takahiro Hachigo will unveil the Honda Urban EV Concept at the Honda Press Conference on Tuesday 12 September at 13.20 in Hall 9, Stand B11.